In April 2016, I was contacted by the owner of a historic Oregon residence. The home, listed on the National Register, was built in 1910. 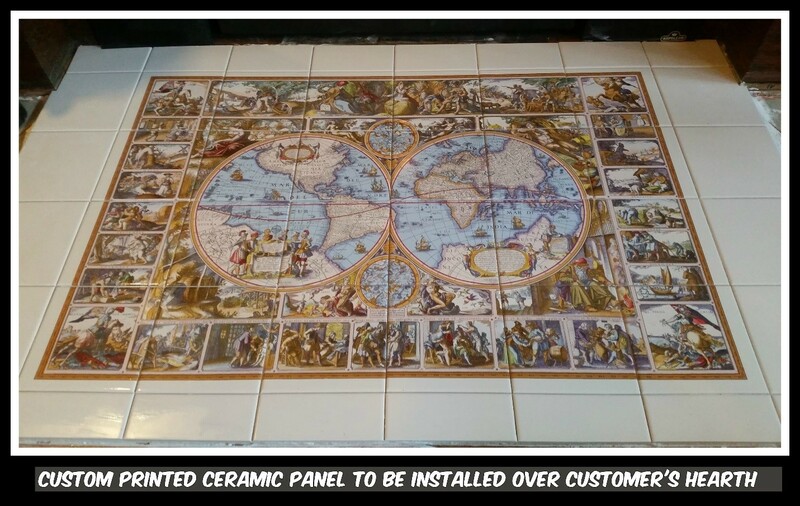 The homeowner was in possession of a custom printed ceramic panel and was referred to Davis Solutions for its installation. The panel, a world map with historic relevance to the home's builder, was to be set over the home's original concrete hearth. The concrete substrate had several in-plane cracks, as well as something like a dozen coats of various colors of paint. After grinding to remove paint, flatten the slab, and scarify, the homeowner and I discussed and decided upon a layout. I gave the concrete a drink and installed STRATA_MAT™ uncoupling membrane with TRI-LITE™ light weight mortar. My company had been included in the field trials for TRI-LITE, and I was glad of its availability for this ceramic installation. A fun and rewarding occupation is enhanced by the availability of excellent tile installation materials. TRI-LITE offers excellent workability and pot life, and performs very well as a non-sag LFT (large format tile) mortar. Pot life came into play as the neighbor arrived and initiated a debate over the wall tile layout. Thank goodness I hadn't made any cuts yet! After a settlement was reached, I gave my mud a turn and had no problem with open time as I set the hearth. The grab of this mortar at full coverage is impressive even on 6" soft-body. I was a bit worried I'd damage an irreplaceable piece by pulling it up for adjustment. 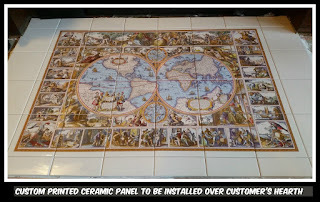 Three days later, I returned to grout using PERMACOLOR® Select unsanded cement grout. Knocking on the tile was like knocking on bedrock. I know that TRI-LITE over/under STRATA_MAT will be my workhorse installation for many years to come. It is easily the most forgiving 118.15 mortar I have ever used. Stay tuned for additional pictures of this project once the hearth has been trimmed. Robert Davis of Davis Solutions (541-905-5228) specializes in custom tile and stone installations. He is a general contractor doing business in Lebanon, Albany, and Corvallis, Oregon. He began as a helper for Von Ruden Construction in '07, and immediately knew he’d found a career. After installing for several local shops over the years, he went out on his own as Davis Solutions in 2015.